James Bond: Moneypenny will be solicited in Diamond Comic Distributors' June 2017 Previews catalog, the premier source of merchandise for the comic book specialty market, and slated for release in August. Comic book fans are encouraged to reserve copies of James Bond: Moneypenny with their local comic book retailers. 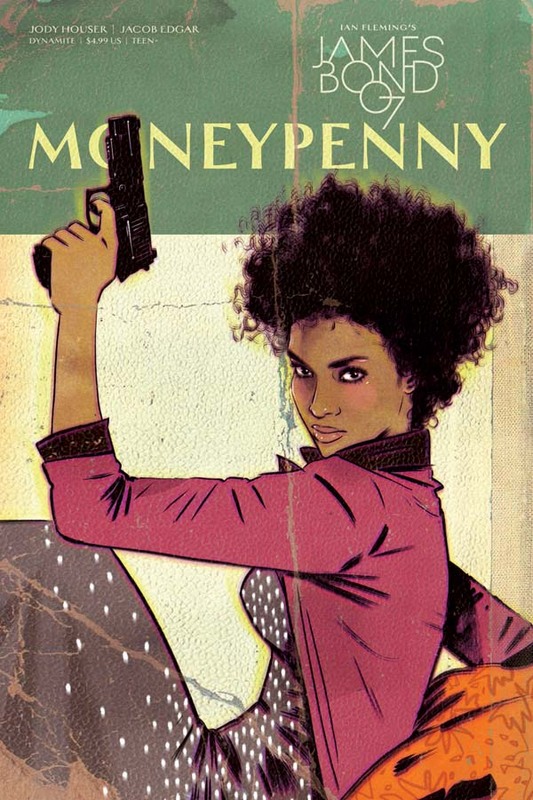 James Bond: Moneypenny will also be available for individual customer purchase through digital platforms courtesy of Comixology, Kindle, iBooks, Google Play,Dynamite Digital, iVerse, Madefire, and Dark Horse Digital. Google Play,Dynamite Digital, iVerse, Madefire, and Dark Horse Digital.